Capt. 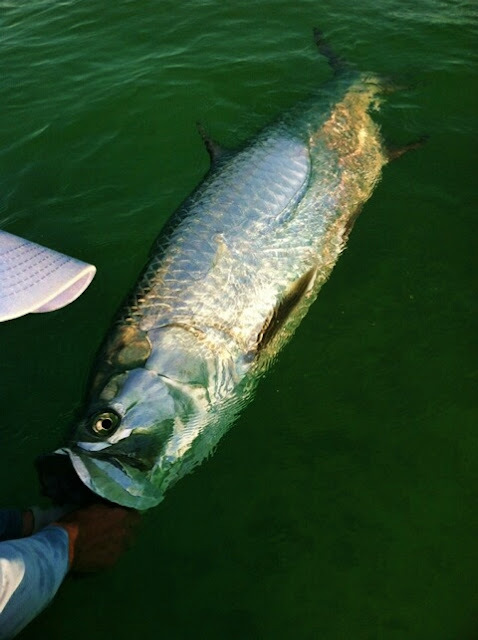 Mike Bartlett just sent me this photo of a huge tarpon that his wife landed today off Key West. We'll be seeing these same fish in about a month here on Pine Island. Can't come soon enough.